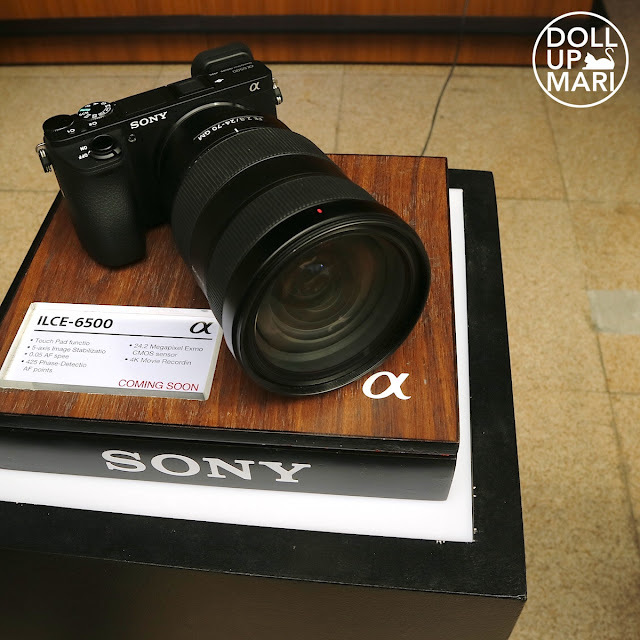 Happy 70th, Sony!!! Yeahp, Sony has been around since 1946! That's why this year is a big year for them as it is virtually unbelievable for a tech company to survive this long. They have survived the test of time through constantly churning out innovative products and anchoring their wares in the hearts of people. I have yet to see somebody whose younger years were not impacted by Sony in one way or another. I think it's still safe to say that for the current generation, Walkman and Playstation are the hallmarks of childhood. Perhaps, Sony's Playstation Virtual Reality will probably be the hallmark of the childhood of the kids of today. In order to celebrate their 70th year and showcase what they've been up to as of late, they invited members of the press and media to be the first to experience their Sony Fair. 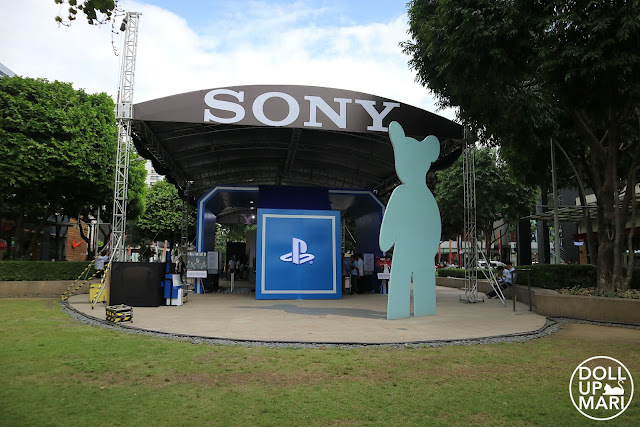 The Sony Fair, from my own experiences, is their own way to orient consumers with the current products of Sony and reaffirm its presence in the minds of people. It was all about learning about the new things Sony has to offer alongside the staples that we always look to Sony for. This is the last event I attended for this year, so hoooooray!!!!! The extreme state of traffic has made events start to reaaaally feel like work. 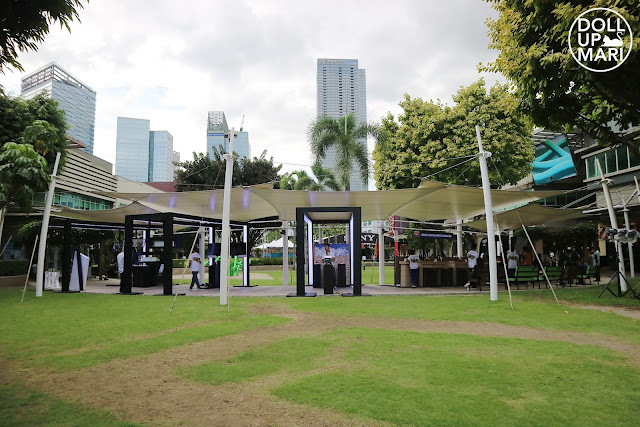 Having an event is like throwing a whole day away because the typical 2 hours to and 2 hours from the venue (I live in QC and almost all events are in Makati or BGC=Poor Mari), plus the 3-4 hours I'll spend in the event, already will more or less constitute 8 hours. That doesn't even count for the 1 hour I'll take to get all my gears and myself ready, making it 9. And oftentimes, when I get home, I'm too tired to work, so that's also like 3-4 hours down the drain. It's like saying goodbye to 12-13 hours. And that's not even counting the financial costs of transportation and the opportunity cost of attending. For the first few hours, we were well fed with good food from Mango Tree Bistro. There is one branch in TriNoma and I really love the food there. Yaaay Thai food! 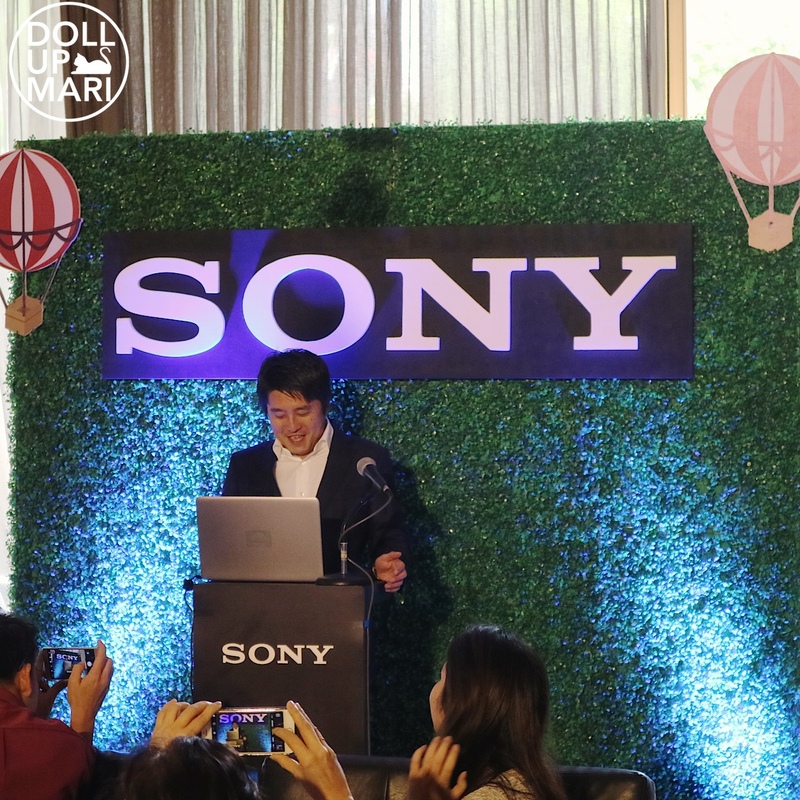 More importantly, Mr. Nobuyoshi Otake, President and Managing Director of Sony Philippines, can't hide his delight at the milestone the company has reached. 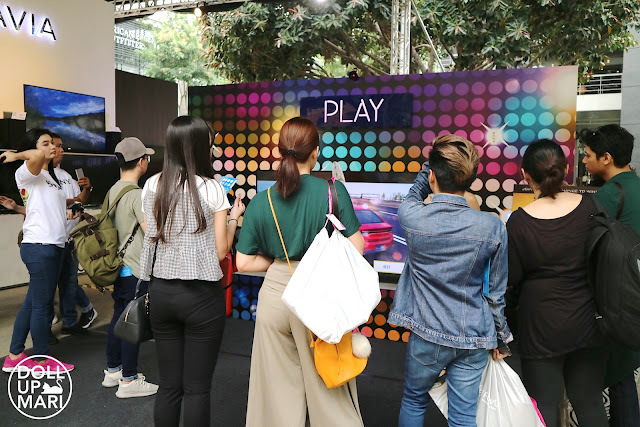 He said of the Sony Fair: "By showcasing some of our flagship products, we invite everyone to experience the superiority of our technologies and the many ways they enhance our lives." 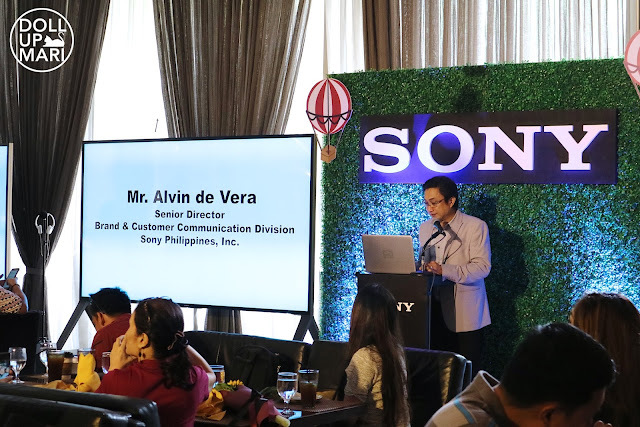 Mr. Alvin de Vera, Senior Director of Communcations, may look glum in this photo, but he is actually much more excited in real life. He actually jokes something to the tune of asking if anybody in the audience has been a fan of Sony for 70 years. Maybe my grandparents, parents, and I combined. But most my grandparents haven't lived to see Sony turn 70. It really is a rhetorical question. 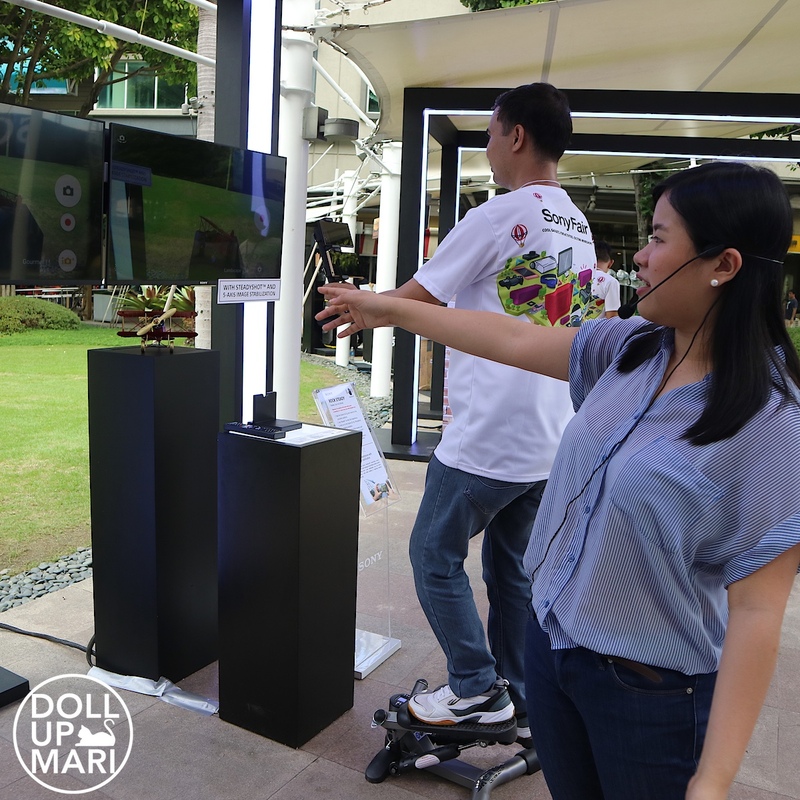 The reason why they fed and fed us at the restaurant is because they made us exercise after by touring us around the booths. 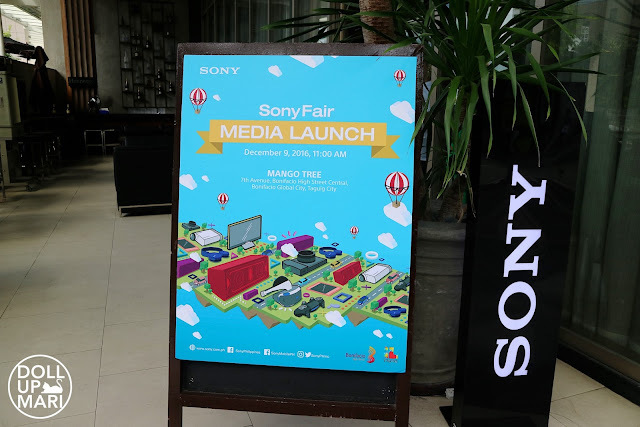 The Sony Fair is stretched alooooooong Bonifacio High Street, like it spans three blocks and will make the consumer walk over at least two pedestrian lanes. It's veeeeery big. 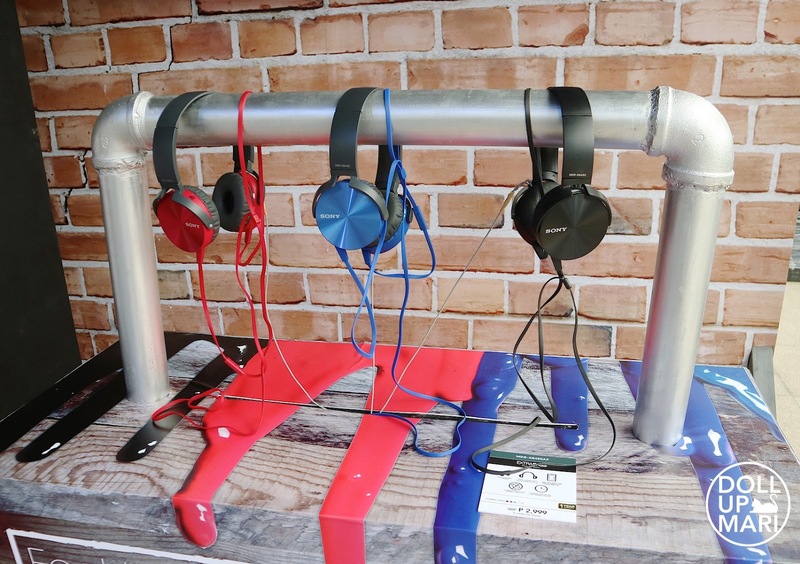 These are wireless headphones, and Nadine is wearing the blue one in her ad. The wireless part is why it's Php6,499. The wired headphones here are just Php2999, which sounds normal nowadays for most reputable headphones. 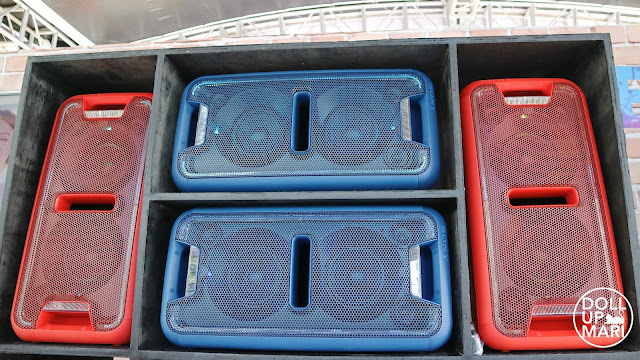 These GTK-XB7 speakers will retail at Php12,999 per box. These produce sounds that are loud but not cracking. They had a short demo for us during the event, but couldn't play sounds all day because the other stores in BGC were complaining. I think it's testament to how powerful these speakers are relative to their size that these can bother people in an open area. You normally would expect the same behavior from speakers much bigger in size. And yaaay, no cracking or croaking despite the loud volume. The colors are cute so if I need a speaker I think the red one is a good choice. It's bluetooth capable so it's not going to be so hard to operate. 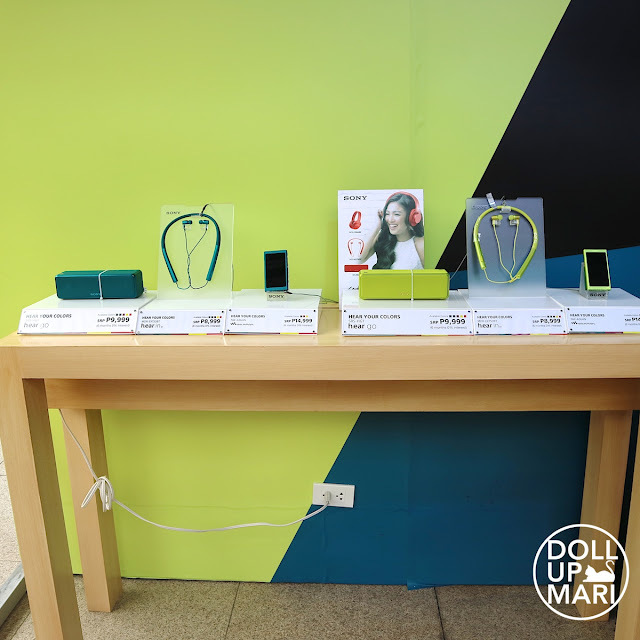 The other ad of Naddie is seen here, but she's wearing the red headphones. 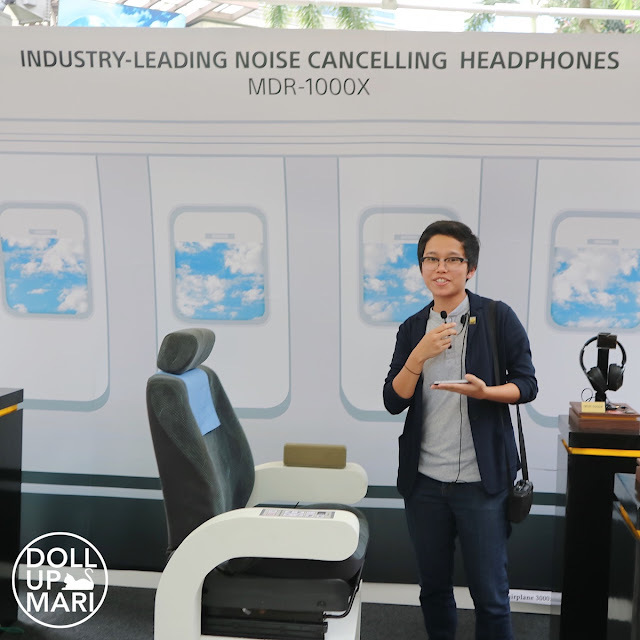 For most of her ads in the malls and like the standees, it seems to be the blue headphones I see more often. 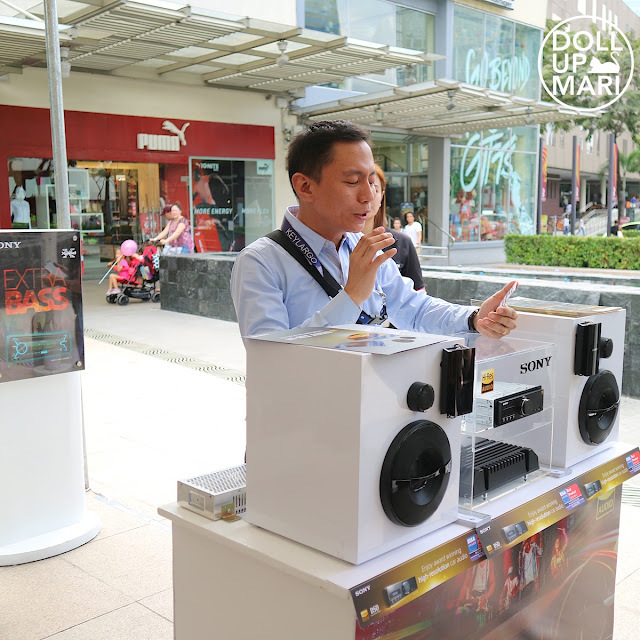 We also spent a good time exploring Sony's car audio systems. Nowadays, car audio is something that has garnered higher consumer interest due to extreme traffic. Remember when we thought radio was bound to be killed off by TV and the internet? Well it didn't happen coz traffic saved radio. 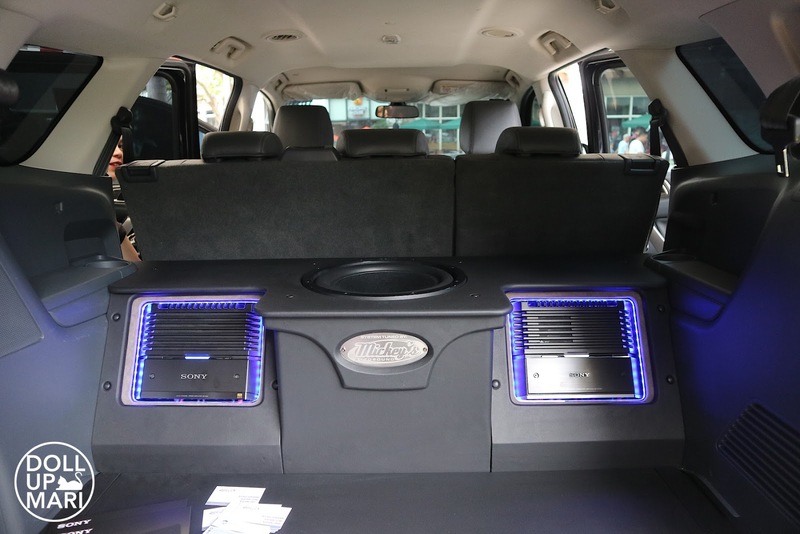 While not as sensitive, the car audio industry has also been boosted by the traffic. 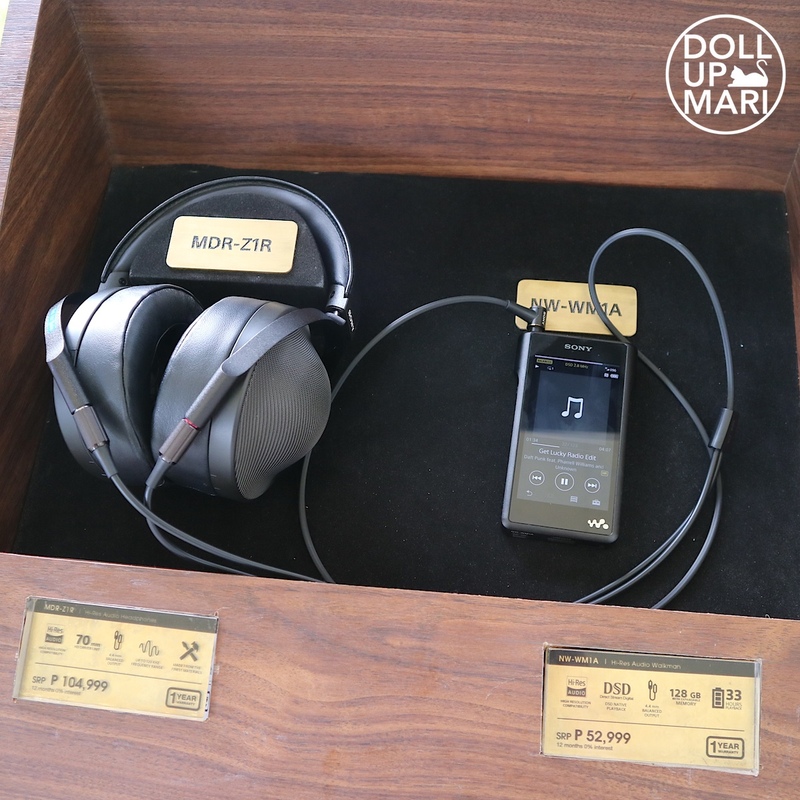 Nowadays, we want good audio whether we're listening to the radio, to Spotify, or when we're playing the sound to a movie or teleserye we're watching on our tablets. And it's not a bad idea to invest when we know we'll spend at least 30% of our day in traffic. 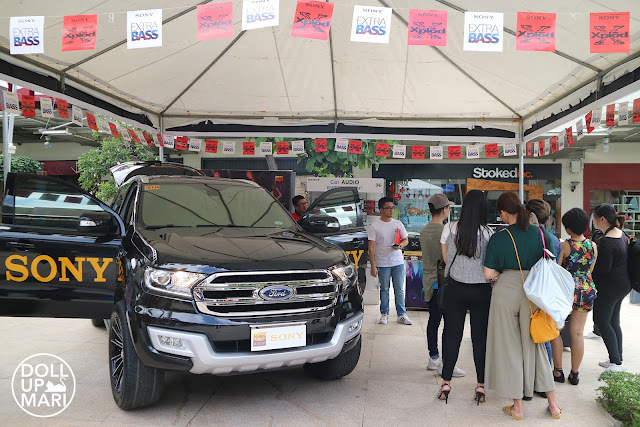 To demonstrate how it works, they had a demo installed in a Ford Everest. 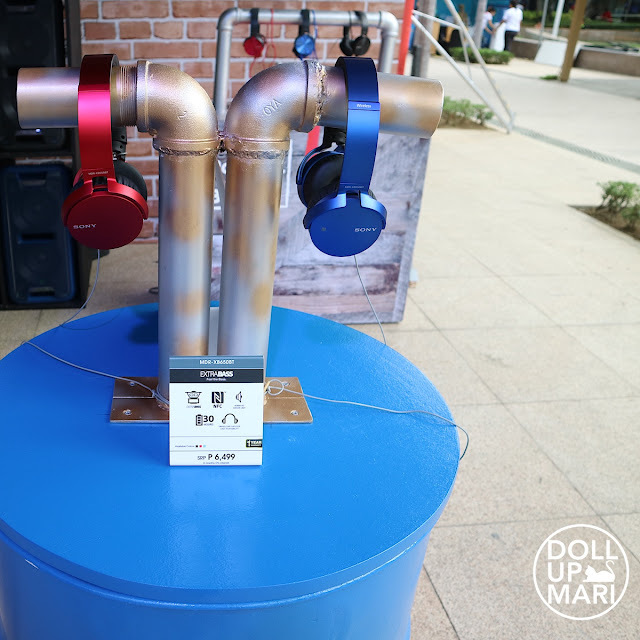 The front speakers, combined with these speakers on the rear, make for a well rounded sound with good vibrance and bass. Music indeed comes to life in the middle of a traffic jam. Although I was quite distracted by the car itself as the Ford Everest is my dream car. Either this or the Range Rover. I just like this car so much I don't know why. 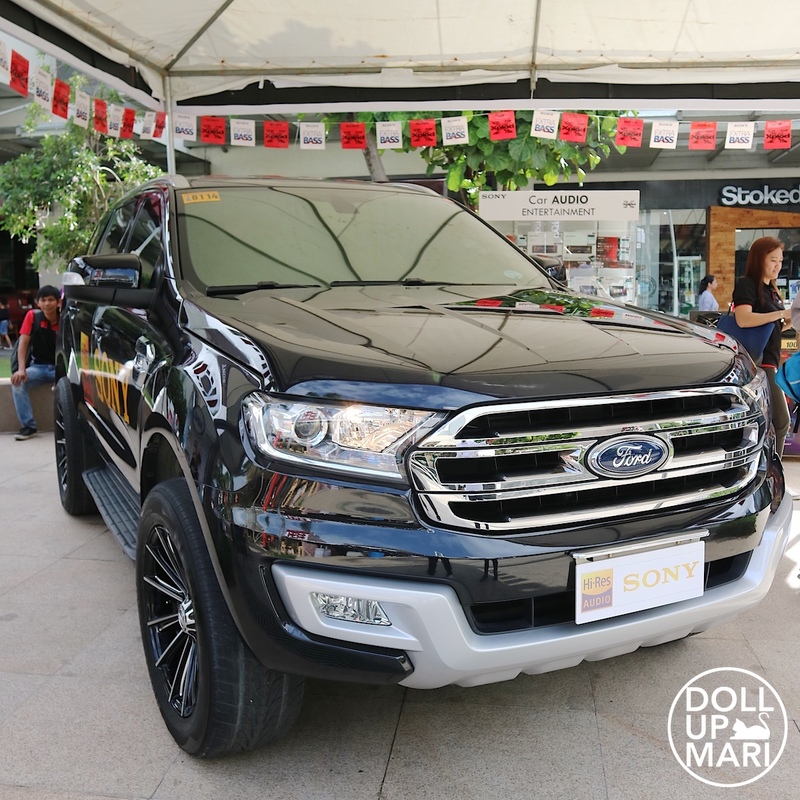 And it's called an investment because most Sony car sysyem sets are above Php80,000. But nowadays, it doesn't sound so crazy anymore given that we live our lives inside cars. 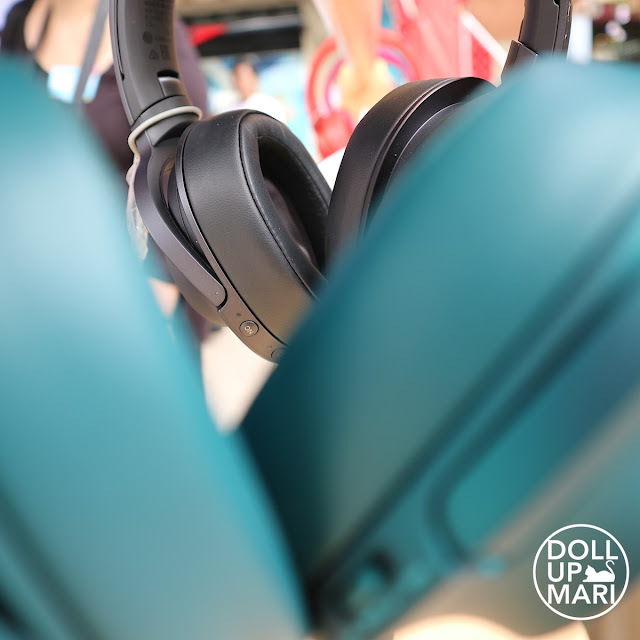 Anyone who's been stuck in a major traffic jam for at least 4 hours knows how important it is to have good sound. If I will have to suffer through traffic, then I can at least hear my favorite Shield Bath Soap jingle in high definition, right? (no I'm not being sarcastic I really love that song I can sing it for you if you ask). They used the shaded walks, too! And don't be scared their staff members are not the type to pester passersby this is not a forced sales pitch lane. Feel free to pass by and explore if you feel like it. This is not a sales event so no one will force you to buy anything. 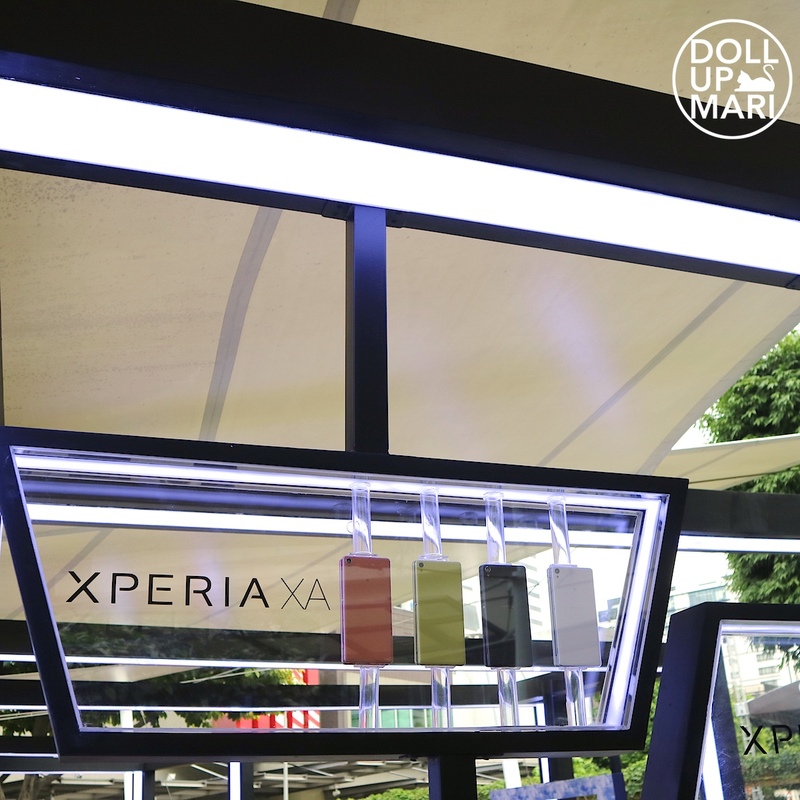 For phones, Xperia XA is only Php12,990 but it packs a lot of features for the photography enthusiast. The Xperia XZ is a very cool thing to own for sporty people! 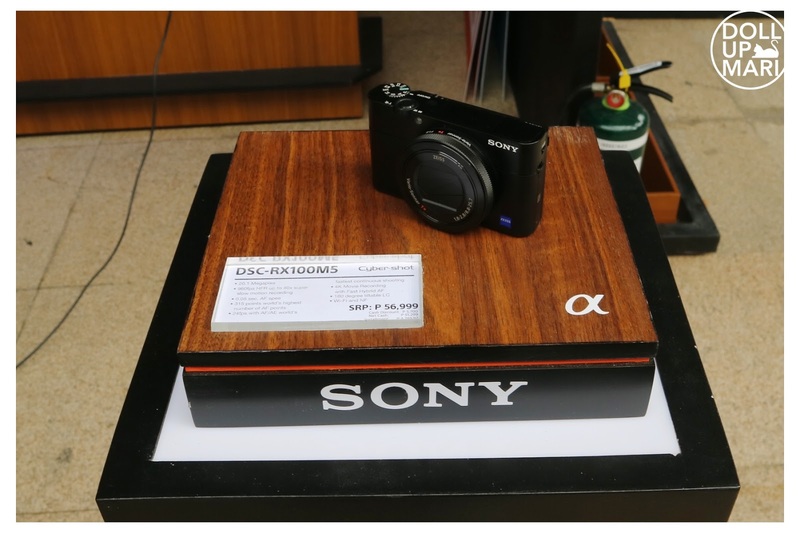 This is the first smartphone to have a 5-axis image stabilization. It is more or less the next thing after Sony Camcorders. this technology means that the user can shoot close ups even while walking or in movement. As seen here, the staff member is on an exercise apparatus and is stepping up and down. You'd see that XZ can still capture the airplane clearly on its screen. Perfect when you're trying to document your gym sessions. The XZ also has crazy zoom in skills! In real life, the blue bird you see right in front of the phone still looks clear and properly focused. The XZ costs more than XA at Php37,990, but it sure packs a lot of photography features. 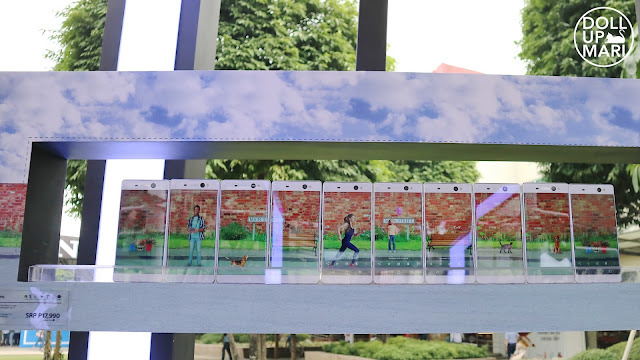 These phones are also near borderless that you can project one panoramic image and they'd appear almost seamlessly. As for the TV's, contrary to popular belief, the TV industry is coming back to life thanks to VR. And thanks to HD gaming. 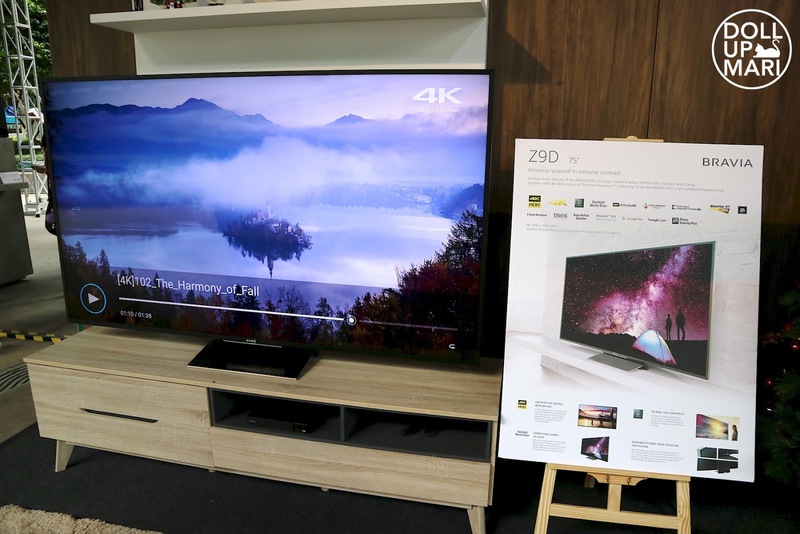 People are now partly buying these TV's because they're not just TV's now, they're sort of like computers now because they are now equipped with processors that can really accommodate high definition gaming without lags. Back then it perhaps wasn't so important, but now that gaming companies are taking the quality of the gameplay and visuals to the next levels, the medium by which the games will be played on (ie the TV's) also needed to step up. This is the KD-75Z9D, it's 75" and is Php444,499. Whew! But it reaaaally is sooo crisp and clear. They are adapting to the changes in the times and Bravia is now churning out android TV's and Internet TV's. 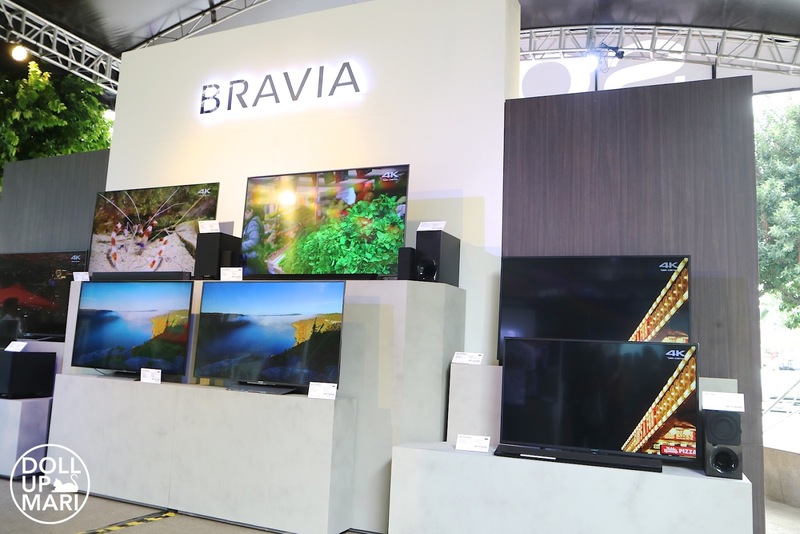 People can use these TVs comfortably as PC screens with no lag issues. Folks at home can also enjoy YouTube tutorials without having to squint as they are now churning out YouTube ready TV's. 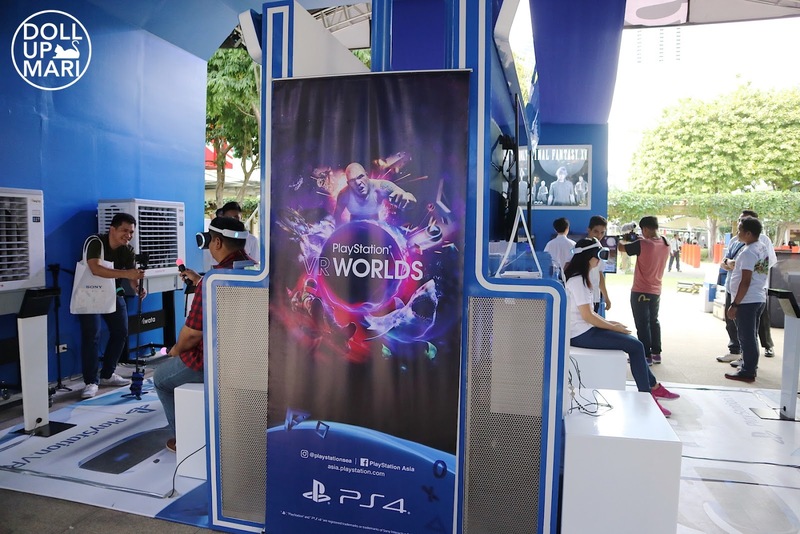 Next is Sony Playstation VR, which boasts that it's not dizzying! Miah tried it out and he said he did't feel dizzy aftewards. 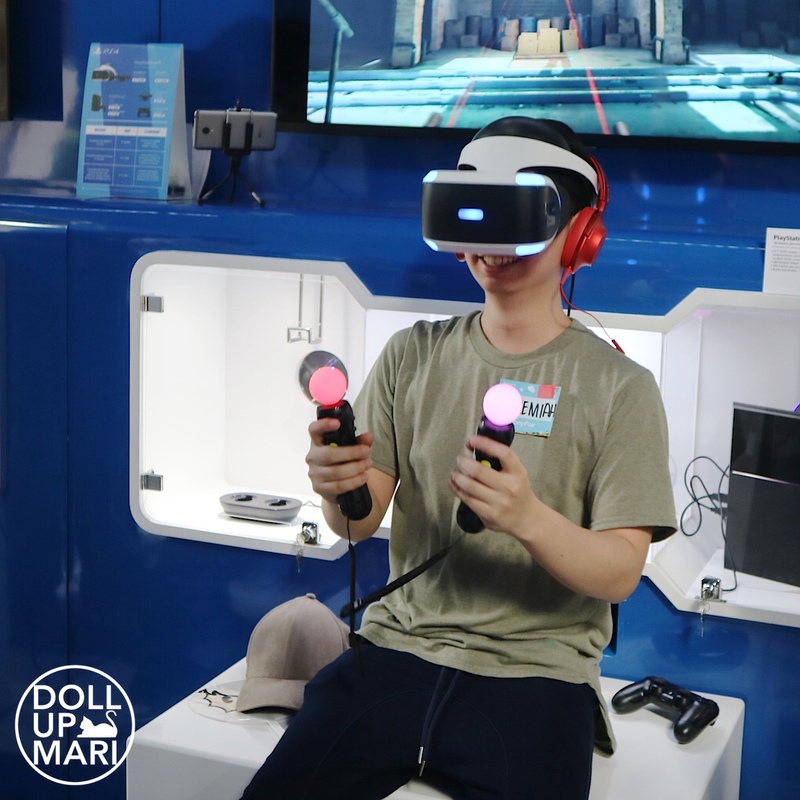 We were delighted to hear that because I think a lot of people are afraid to try VR because of the impression that it might make the user dizzy. This VR headset is different from the usual VR headsets for smartphones that can be picked up online fairly easily nowadays. Of course, there's high quality graphics. This also comes with handsets and a camera censor so the user is not just sitting down doing nothing. It doesn't really feel like VR without making movements; plus the vibrations from the handsets make holding guns or basetballs feel more realistic. The sound is also like how we perceive sound in real life. Sound from behind will feel like sound from behind, or sound from afar will feel like sound from afar. It's not just two speakers left and right randomly blasting sounds. The TV plays such a huge role in VR because one can only get so many headsets at a time. To make the gaming an inclusive experience, the TV has to be good enough to be able to depict what the user under the VR headset is experiencing. I have been a gaming spectator almost my whole life so the TV matters to me more than the console since I just watch and observe most of the time. 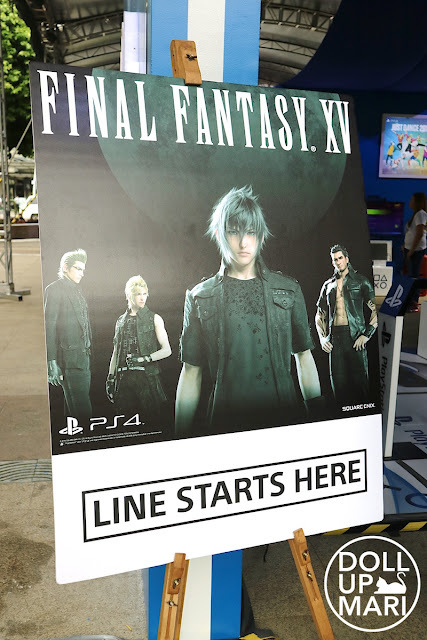 There's Final Fantasy and NBA, too! They also have super high end headphones and gears for professionals in the industry and audio enthusiasts. The sound is super sharp! I can hear Pharrell's every single gasp for air like as if he were beside me! But indeed the price is really not something for the everyday consumer. As for cameras, their Alpha series is just getting crazier and crazier. Hundreds of autofocus points! 24 frames per second! Homaygash! 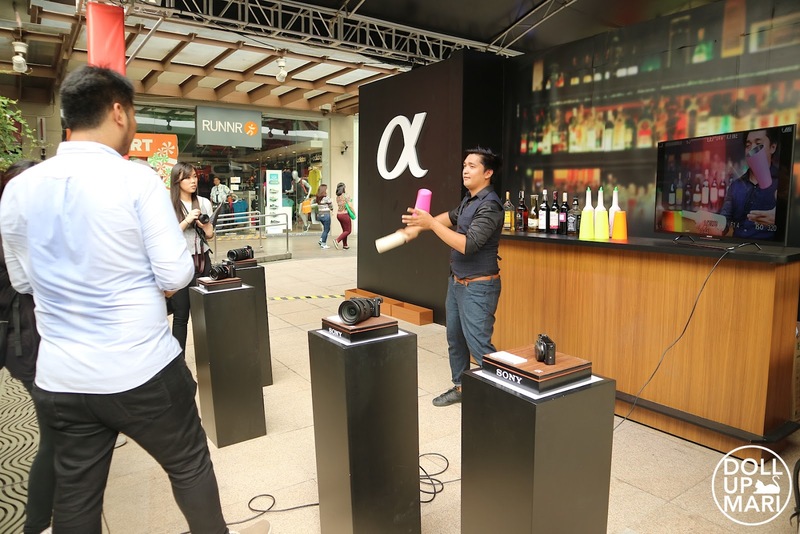 To demonstrate the true speed of the cameras, they had this bartender do his tricks while they captured it on cam. On replay, the bartender's face doesn't blur despite his movements. The props are also still clearly discernible despite being captured in a split second in the air. What a time to be alive. 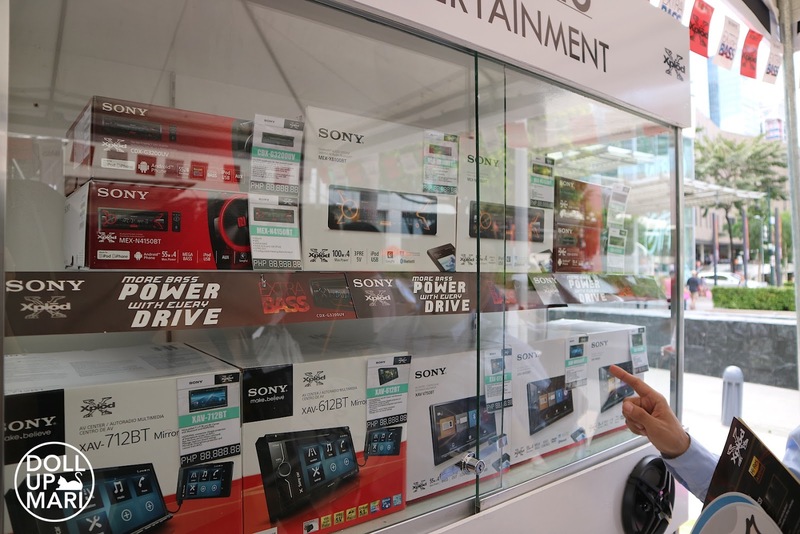 Sooo the Sony Fair is till the 18th, but there are plenty of exciting new products from Sony worth giving a try!